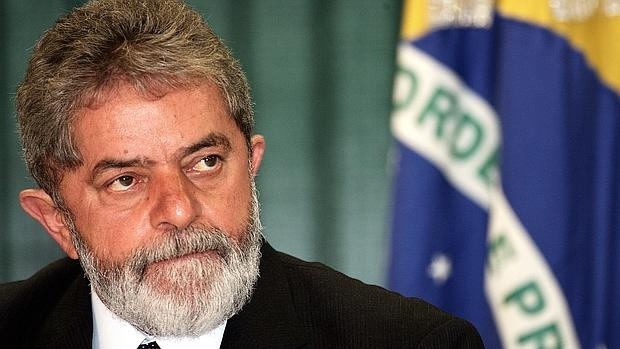 A Brazilian court Wednesday handed a near 13-year sentence to Luiz Inacio Lula da Silva in a new corruption conviction for the former leftist president already serving a lengthy jail term in a separate case. He was given a sentence of 12 years and 11 months by the court located in the southern city of Curitiba. Since April of last year, Lula has been serving a 12-year term for “indeterminate acts” of corruption in a separate case. The widely-beloved former leader ruled Brazil between 2003 and 2010. Defenders of the former president say that he has been unfairly targeted in a sweeping corruption probe and that he is being held as a political prisoner. Lula has denied all the charges against him, claiming they are politically motivated with the aim of preventing him competing in elections last year that were won by Brazil’s new far-right President Jair Bolsonaro. The United Nations Human Rights Commission determined Lula should have been allowed to run for the presidency and expressed concern over the circumstances surrounding his imprisonment but he was nonetheless barred from the election. Polls indicated that if Lula had been allowed to run from prison, he almost certainly would have defeated Bolsonaro. But the Curitiba judge, Gabriela Hardt, was not persuaded, noting that “the family of ex-president Lula very often frequented the farm as if he was the owner.” She also observed that Bittar had said in 2014 that his own family did not visit the property as often and that it was used more by Lula’s family. “The accused received these unjustified benefits because of his position as president of the republic, of whom exemplary behavior is demanded,” she said. The Trump administration does not believe that the rise of far-right president Jair Bolsonaro in Brazil will threaten democracy in the country, a White House official said. Bolsonaro had been a member of the Brazilian Congress since 1991 and built a reputation for his anti-democratic, racist, misogynistic and anti-gay views.